« Avoriaz…here’s an idea of what this winter has in store for us! Here’s the next installment of Our Camper Jess’s competition experiences this year. ¨this is how i got on in the last couple of lowlander series comps……. I got a third out of three at Bearsden Dryslope in Glasgow….I went on my own so before I got there I was scared to death, but when I got there the girls were great!!! it was a big air and quarter pipe set up…. I found the kicker alright but don’t have much experience on quarter pipes! 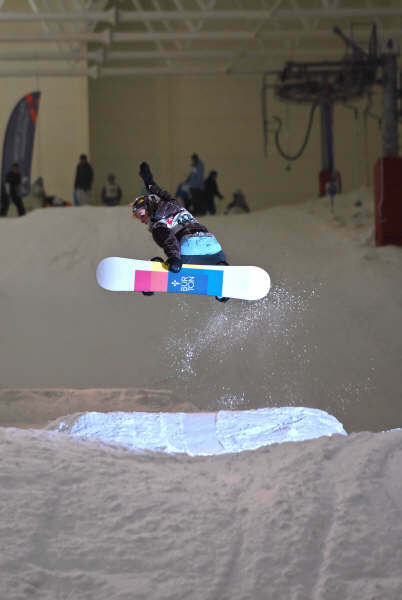 but was still really pleased as I landed my first backside one eighty on dryslope, Kara who won, landed a backflip!!! crazy girl!!! she was lovely though and I’ve met her a couple time since at SnowZone in Glasgow (Braehead). 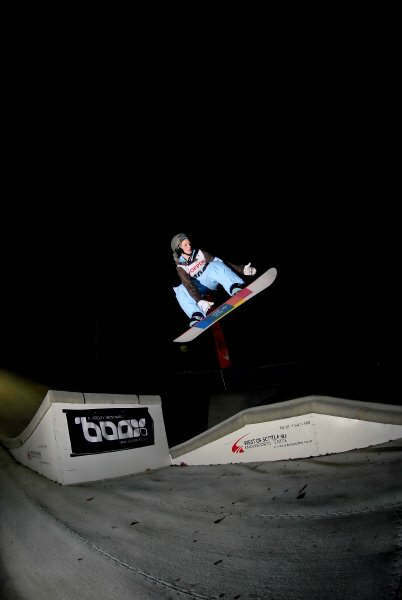 The night before the SnoZone event I went there to practice with some friends, they had a big park set up and it was great to get my legs before the comp the next day… i boardslid and 50-50’d my first c box which felt amazing!! they also had a big kicker which i was getting my biggest 180s yet on so was really pleased with myself! 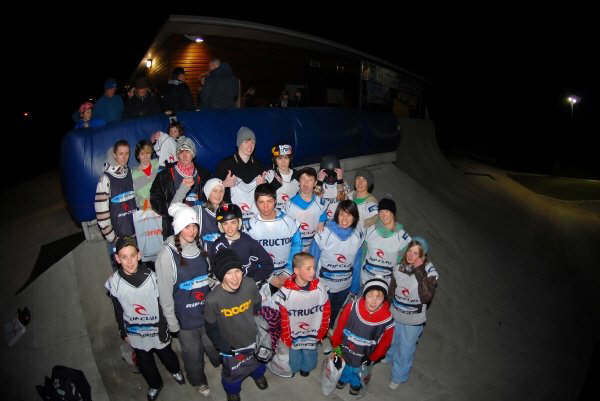 The next day I was really nervous as I knew there would be more girls at this event, but once I got on the slope all the girls were really nice and there was a really chilled out feeling. On the practice runs somehow…. I’m not sure how, but I landed (a kinda big for me!!) backside one eighty method! much to my friends and brothers amazement (one of them is now seriously considering booking himself on to a camp) I couldn’t get the smile of my face!!! For the comp, I decided to take the line of kickers as the rails all had pretty big gaps on to them. My best run was a frontside one eighty over first, indy on the second, and a backside one eighty over the biggest, with a little shifty over the last which I was really pleased with. The other girls were doing similar things so no one knew who would get through. I didn’t qualify but it didn’t matter to me at all and I had one of my best days riding yet because I really pushed myself and enjoyed the other girls company. oh, and I’m now 186 on ttr rankings!!! The next 3 comps are in Feb-March at the scottish resorts and I’ve invited the girls from Summer Camp up too, so hoping we can have a winter reunion! I’m off on my first european winter holiday to three valleys in January with some friends, I’m so excited about going to a big resort in winter and hoping for lots of powder!!! P.S CHECK OUT THE STEEZ ON THAT METHOD, NICE ONE JESSICA! I wrote a blog about my first day at the hill. The lifts were closed and there was only like 2 inches but my fiend and I rode the hell out of it.